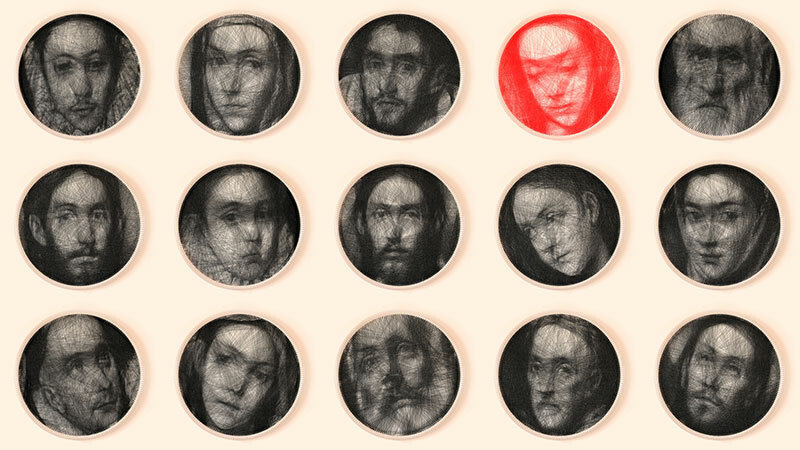 Knitted portraits based on El Greco paintings by Greek new media artist Petros Vrellis. This new way of knitting is done by hand on a 28" circular loom using a few thousand meters of continuous black thread, which are knitted as straight lines across the anchor pegs on the circumference. He states that "In geometric terms, the thread follows a path of consecutive circle’s chords. Thus, one single thread runs from one anchor peg to another, continuously, for 3,000–4,000 times, reaching a total length of 1–2 kilometers. Knitting is done by hand, with step-by-step instructions dictated by a computer. The absence of black thread gives a completely white color tone. 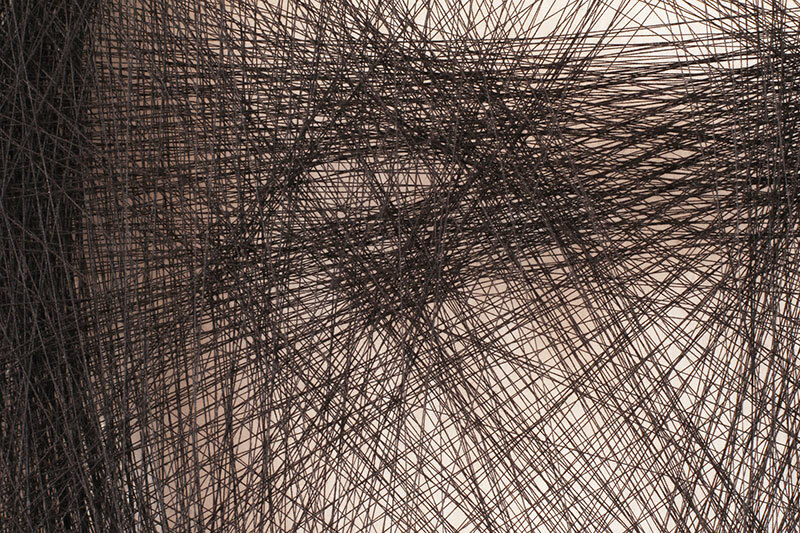 The tone darkens as the density and the intersections of the black thread increase. Thus, a full grayscale palette (from black to white) is possible." 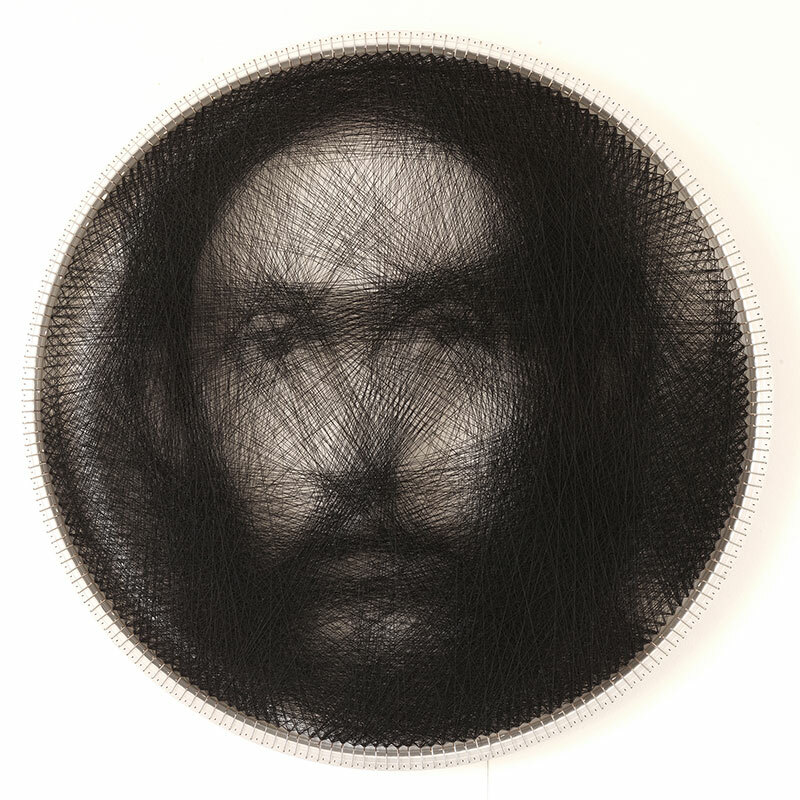 Knitted portraits based on El Greco paintings by Greek new media artist Petros Vrellis.